1.Pick a date, 2.Pick a bounce, 3.A deposit books it! TIP: When selecting start time, select at least 30 minutes before your party start time. Delivery & Setup is included for most of the metro area, travel charge may apply based on your city and zip. **NOTE** If your city is not listed, you may choose "OTHER" and enter your city manually, contact us to find out the Travel Charge, or we will inform you after you book. Or choose a city on the list that is close by to see about what the charge will be. Rent two or more large items and get a DISCOUNT with coupon code: package2 on EVENT INFO PAGE. 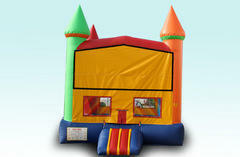 Bounce House Rentals...We Rent Fun!!!! 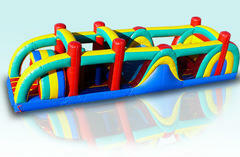 Welcome to Affordable Inflatables of Kansas City! Bounce house rentals are taking the world by storm. People often don't know what to call them though: bounce house, moonwalks, jumpers, bouncers or even a kids party inflatable thing. 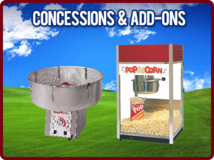 We also have Dunk Tank, inflatable slides, water slides, and concessions including: popcorn machines, sno-kones and cotton candy. So whatever you want to call them...give us a call or reserve on-line and we promise a great time.